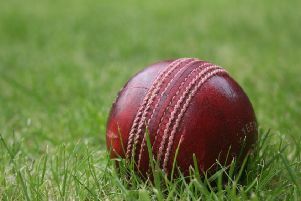 Belvoir were inserted on an awkward wicket and Long Eaton’s openers made the most of the conditions by taking two early wickets. Lewis Dann and Greg Oldfield battled hard and seemed to be getting on top of the attack, but the introduction of Kieran Cooke (10-6-12-3) had Oldfield brilliantly caught at slip by Villiers followed by the demise of Andy Dann, both for 23. Captain Tom Neville struck some lusty blows in his 20 before Kagiso Rapulana took a wonderful diving catch at deep cover point; the fourth wicket to fall on with the score on 90. Andy Edge (6.5-3-10-4) was both crafty and accurate in wiping up the tail despite the defiance of Fraser Fentem (10 not out). Chasing a target of just 104, Long Eaton lost their first four wickets for only 55 runs; three to the whippy Greg Oldfield and the other to a nagging Dann. It was a spirited defence by the whole Belvoir team, but Long Eaton debutant Rapulana (41 not out) and Tim Taylor (20 not out) put on an unbroken stand of 49 to cement a six-wickets win. Rapulana played with a delightful, but measured impudence, while Taylor’s knock was that of a traditional senior player calmly seeing his side home.